WASHINGTON — Bill Clinton sounded hopeful back in 1993 when, less than six months into his presidency, he delivered an address at Arlington National Cemetery commemorating the 25th anniversary of Robert F. Kennedy’s assassination. It was years before Monica Lewinsky and her blue dress, before Clinton allies coined the phrase “vast right-wing conspiracy,’’ and before independent counsel Ken Starr became a household name. At the cemetery that June day, Clinton’s presidency still held the promise of sweeping social progress. Twenty-five years later, Clinton, now 71, is set to speak at a commemoration of the 50th anniversary of RFK’s death. Again, it will be held at Arlington National Cemetery, and several thousand are expected to attend. But the optimism embodied by Clinton’s 1993 speech, for Democrats, has been replaced by deep dismay over Hillary Clinton’s defeat at the hands of Donald Trump as well as newly revived questions about Bill Clinton’s sexual improprieties. 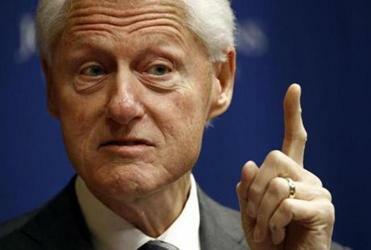 Has Bill Clinton outrun the statute of limitations? Even so, the wheels are finally coming off the Clinton bus. Clinton’s spokesman disputed the notion that the 42nd president’s influence is waning. Still, the questions about Clinton’s personal behavior have recently become more pointed and uncomfortable as Americans rethink the way powerful men historically have treated women, particularly when a pattern has been established. Titans like movie mogul Harvey Weinstein, journalist Charlie Rose, and former New York attorney general Eric Schneiderman have been felled after multiple women went public with detailed accounts of misconduct or abuse. In this new light, Clinton’s worst impulses — and the familiar pattern of the accusations against him — are haunting him again in the twilight of his public life. He’s been shunned by Democrats who don’t want him appearing at their campaign events, including Ralph Northam, the Democrat who won the Virginia gubernatorial race last year, according to an account in the New York Times. Senator Kirsten Gillibrand of New York said last year that Clinton should have resigned from office over the Lewinsky affair. Clinton will be introduced at the June 6 event by Representative Joseph Kennedy III, who has so far had the most success carrying the family name forward in a scandal-free manner. Townsend is also set to speak at the event, according to a copy of the program obtained by the Globe. And several others are due to read famous quotes by Robert Kennedy, including House Democratic leader Nancy Pelosi, who has close ties with the Kennedy clan, and Representative Kevin McCarthy, who is vying to be the next House Republican leader. Clinton, the main speaker, has been allotted 15 minutes. While the Kennedy event is more of an homage to the past, historians say, it could also serve as a springboard for Clinton’s latest rehabilitation effort. Ever the “comeback kid,” Clinton is trying to again dust off his image and recapture some of the glory from his past. This month he also held a fund-raiser — with tickets priced from $2,500 to $100,000 — for the Clinton Foundation, which was battered by conservatives during the 2016 election. Over the summer he plans to ramp up his public appearances as he launches a book tour for the political thriller “The President is Missing,” which he co-wrote with James Patterson. It’s due out Monday, and Clinton plans a 15-city tour this month to promote it. But as he tries to reemerge in public life, Clinton is encountering a different political landscape. New research by the Barbara Lee Foundation in Boston found that voters harbor doubts about candidates when they question the validity of the #MeToo movement and downplay the importance of sexual harassment. “We found across the board that voters say sexual harassment is not a niche issue,” said Amanda Hunter, a spokeswoman for the foundation. “There really hasn’t been a public dialogue about this since the Anita Hill hearings” in 1991. 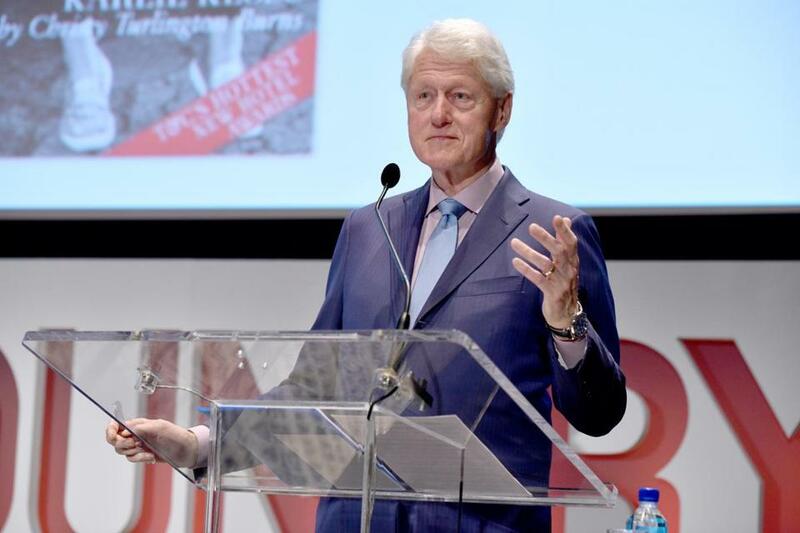 In May, officials at Town & Country magazine came under harsh criticism for withdrawing an invitation they extended to Lewinsky to speak at their philanthropy summit because Clinton decided he would attend. Lewinsky turned to Twitter to complain about the snub. In a sign of how the world has changed, major influencers such as producer Judd Apatow sympathized with Lewinsky. Town & Country officials issued a mea culpa. Other women who have accused Clinton of sexual misconduct voiced disappointment that he will speak at the Kennedy event. Broaddrick surmised that the Kennedy family does not believe the women who’ve accused Clinton of sexual misconduct. Clinton, through his attorney, has denied any misconduct with Broaddrick. But even some who’ve called out Clinton say that he should be judged by his full record, and argue that the accusations of sexual assault are part, but not all, of his biography. Moreover, some say it’s unfair to apply today’s norms to Clinton’s past.